My love of all things old began as a child, when our family would spend much of the summer in a bungalow built by my grandfather in the early 1900s. It was a rustic affair, with a hand pump at the sink, a kerosene stove and an outhouse. But inside that Janvier Road cabin was a world of Gustav Stickley oak furniture, pink Alice Annglow dishes and a curved glass china cabinet filled with wondrous cut and pressed glass and assorted knick-knacks that provided endless entertainment for me. By introducing our children to antiques at an early age, we show them that they’re connected to the past. With something as ordinary as a vintage dress, they’ll see that history is still a living thing – especially when we share the stories associated with each bauble or gift. A new baby offers a great opportunity to begin a lifetime of appreciation for vintage and antique things. 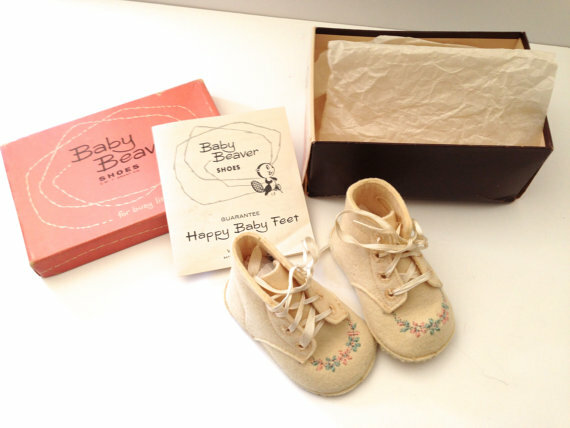 Vintage baby shoes that have been barely worn and look new are still available – making them a most unusual and cherished gift. 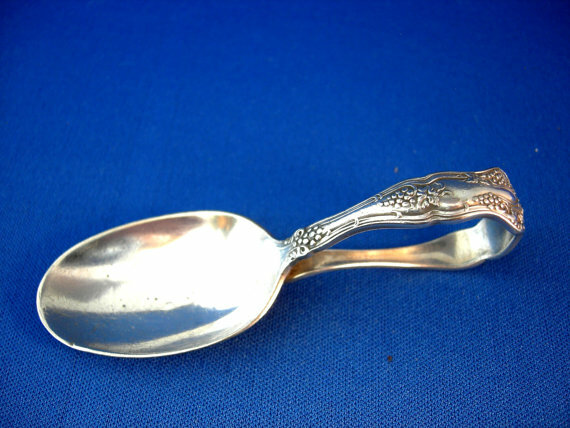 And an antique silver spoon can deliver baby’s first solid food, later becoming a precious childhood memento. As the child grows, antique or vintage toys can still provide hours of entertainment. Older toys tended to be well crafted of hard Bakelite, metal or wood. They’ve lasted 50 years or more, and chances are they can go another half century! 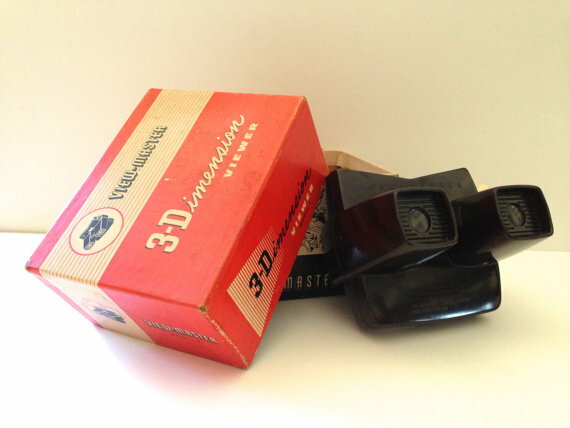 1955 3-D Viewmaster in original box with slides. 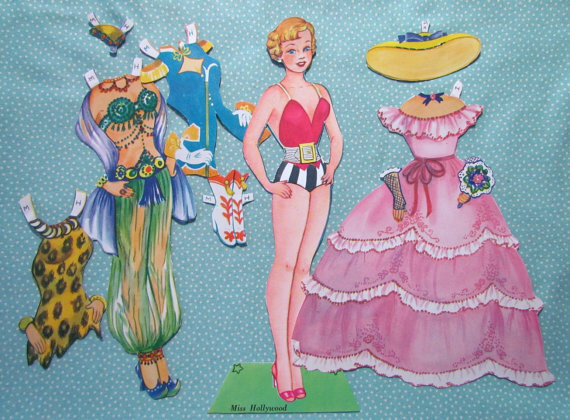 An older child may adore the same things that charmed their parents and grandparents,such as vintage paper dolls. And, of course, there are the real dolls! 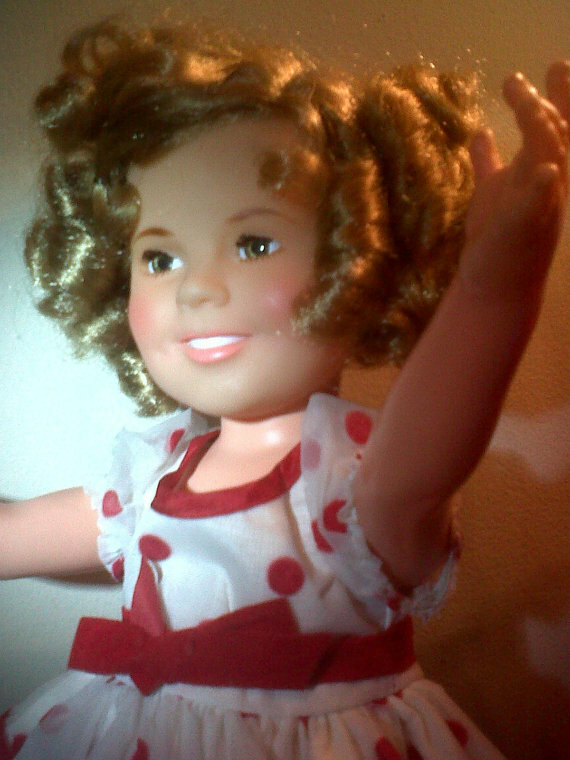 Original Patty Play Pal, Barbie, Shirley Temple and others could form the beginning of a lifelong love of antiques. Your child is an original — a treasure that cannot be reproduced. Why not show them what that means by helping them cultivate their own love appreciation for one-of-a-kind treasures? 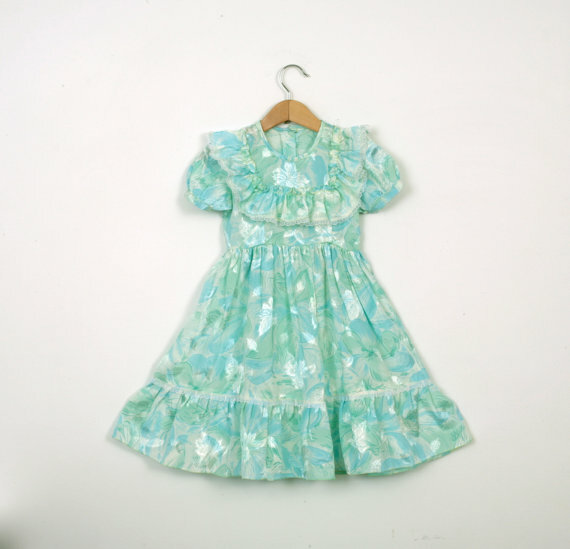 This entry was posted in Vintage clothing, Vintage Toys, Why Are Antiques Important? and tagged 1950s clothes, 1950s toys, 1970s dolls, 1972 dolls, antique toys, baby gifts, old toys, original dolls, paper dolls, Rodgers silver-plate, Shirley Temple doll, silver baby spoon, silver spoon, Viewmaster, Vintage baby gift, vintage children's clothing, vintage children's outfits, vintage dolls, vintage paper dolls, vintage toys. Bookmark the permalink. 1 Response to Raising a new generation of antiques freaks.